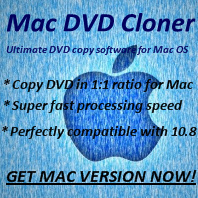 Why Any DVD Cloner Platinum starts freezing from version 1.1.4? Q: Update to the latest version, Any DVD Cloner Platinum freezes. I have tried uninstalling and reinstalling already. Works without problems till version 1.1.4. Why and how to resolve? A: Please uninstall the old version completely: uninstall via Control Panel, and remember go to Hard Drive C -->"Documents and Settings"-->"Administrator" or the current user you use-->"My Documents"-->"Any DVD Cloner Platinum" folder, delete it. Then download the latest version from the website and install it on your PC.